A newly discovered strain of HIV is spreading across West Africa. 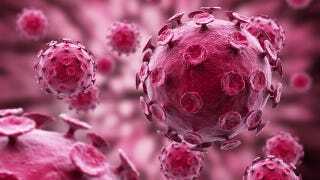 What's worse is that it's particularly aggressive—and causes significantly faster progression to AIDS than other strains. "Individuals who are infected with the new recombinant form develop AIDS within five years. That's about two to two-and-a-half years faster than one of the parent [strains]." The research backs up previous studies which have suggested that recombinant strains of HIV—where different DNA combines to form a new strain—are potentially more dangerous. Perhaps even more concerning is that the researchers point out that, while their work is conducted in West Africa, different recombinant strains are likely forming across Europe and the US due to high levels of immigration. Gulp.